If you have recently decided to purchase a surveillance camera system for your home or business, you might be unsure of what type of DVR surveillance system to purchase. There are a lot of different digital video recorder systems out there for you to choose from, and the difference in features and prices means that you are making a very important decision. Therefore, you will need to put a lot of thought into the DVR surveillance system that you choose to buy. By taking a bit of extra time to explore your options and to learn more about the various surveillance systems that are available and the features that make them even more useful, you can purchase the best DVR surveillance system for your money. When shopping for a DVR surveillance system, you should consider checking out one of the many online stores that specialize in selling security-related equipment. Not only is shopping for security-related equipment online more convenient than running from one store to another, but it also makes choosing the best DVR surveillance system for your needs easier. 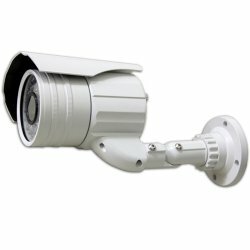 You will typically have a much larger selection of DVR surveillance systems and other security-related equipment to choose from when you shop with an online retailer that specializes in selling security-related merchandise, and shopping online makes it easier for you to compare each different surveillance system side-by-side. By keeping a few of these things in mind while you are shopping, you can find the surveillance system that is right for your needs. It is important not to make a rushed decision when making this purchase: Instead, keep each of these things in mind so that you will not regret your purchase in the future. One of the first and most important things that you should look at when purchasing a DVR surveillance system is the number of cameras that it can support. Many people who don’t know a lot about surveillance systems do not realize that an 8-channel digital video recorder can only accommodate eight security cameras at one time, so make sure that you keep this in mind while you are shopping. Before choosing the digital video recorder for your needs, think a bit about where you would like to place security cameras in your home or business. This will help you to determine the number of cameras that you will need, and you can use this number to choose the right digital video recorder. When in doubt, it is best to purchase a digital video recorder that can accommodate more cameras than you think you need. There is truly no such thing as having too much security, and you can choose not to use some of the cameras if necessary. By thinking ahead and purchasing a digital video recorder that allows for plenty of cameras, you will not have to replace your entire system in the future if you feel that you need more protection. Another thing to remember when choosing between the best DVR surveillance systems is that you need to find a digital video recorder that will work with the cameras that you have in mind. This means that you may have to take a look at some of the many cameras that are out there before making your decision. Many digital video recorders will work with most common security cameras, but there are some differences in systems. It is never a bad idea to double check in order to ensure that you purchase a full system that you can use. When choosing your cameras, make sure that you take your time before purchasing anything. There are a lot of cameras out there for you to choose from, and each camera offers different features. If you are going to be using your cameras outside, for instance, you will want to purchase a camera that is weather resistant, or you will need to purchase a protective cover for your camera. You will also want to consider the lighting in the area where you will be placing your security cameras. Dark areas will require an infrared camera, but you can actually purchase security cameras that switch back and forth between day and night vision in order to capture clear video in any type of lighting. Another thing to consider is whether you would like to use wireless or wired security cameras. Many people prefer wireless security cameras because they are easy to use and because they do not have wires that thieves and vandals can tamper with. If you do choose wireless cameras, you will want to make sure to choose a digital video recorder that will work properly with wireless cameras. Nowadays, wireless cameras are very common, and it should not be difficult to find a system that will work for you and that will not require the complication of wires. In order to benefit the most from your surveillance system, you will want to capture and watch the best possible footage. In many cases, a small detail is all that you will notice in order to identify someone or to understand a suspicious situation, and these minor details can be easily missed if you cannot get a good look at your surveillance footage. Therefore, it is important to look for a digital video recorder that will allow you to get the best possible look for your money. Other components of your surveillance system can also contribute to your picture quality. Along with choosing the right digital video recorder, you should consider purchasing the best security cameras that are within your budget. You want to choose an up-to-date camera that will capture high quality picture, and you will also want to look for a camera that will work with your lighting conditions. If necessary, consider installing extra lights so that you can capture better footage if you are purchasing general purpose security cameras. Not only will the extra lighting help your camera to capture footage that is more clear, but having extra lights can also help you to keep your home or business more safe and secure. Lastly, consider purchasing a nice monitor for your digital video recorder. You certainly do not have to purchase a huge screen that is incredibly expensive, but you shouldn’t go with a cheaply made monitor or one that is too old. By springing a bit of extra money on a monitor with a clear screen, however, you can get a clearer picture when you are watching your surveillance footage. The best DVR surveillance systems out there allow remote viewing, which means that you can view your surveillance footage from your desktop, laptop, smartphone, tablet or other Internet-capable device. Many people are pleased with their systems and do not have or use these capabilities, but it is a feature to look out for if you want the best DVR surveillance system for your money. There are several reasons why you might want to utilize remote viewing. Having the ability to check on your home from your office or check on your business from home can save you a lot of worries and a lot of trips back and forth, and it can help you to catch things if they go wrong. Therefore, you should consider looking for a DVR surveillance system that offers remote viewing. The feature is relatively easy to use and typically involves connecting your DVR system to your home network. One feature that can be highly helpful when it comes to home or business security is motion detection. If you don’t feel the need to keep an area under constant surveillance, having a system that allows for motion detection can be highly helpful. It will capture the necessary footage that you need for security, and it will help you to save on electricity versus keeping your security cameras on all of the time. Although many business owners utilize this feature, home owners who want to protect their homes without spending a lot of money are typically the ones who find motion detection options highly effective. If you are a home owner who wants to make sure that your home is secure without dealing with many hours of surveillance footage or high electric bills, choosing a digital video recorder that offers motion detection options is probably your best bet. Even if you purchase one of the best DVR surveillance systems on the market, you still have to worry about losing your data. Therefore, it is important to have a backup plan. Purchasing a DVR surveillance system that allows you to hook your system up to an external device, such as a hard drive, can help you to make sure that you do not lose any of your important data. It can also provide you with the evidence that you need in case something happens, and it is much easier to exchange an external hard drive with your local law enforcement agency that it is to bring in your entire system. Most of the best DVR surveillance systems offer these capabilities, so make sure that the one that you are looking at has this feature as well. 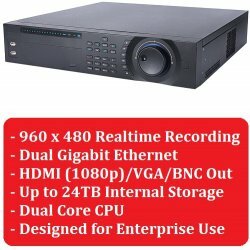 Many people do not realize this, but a lot of the best DVR surveillance systems allow you to burn your surveillance footage onto a DVD that can be played in any DVD player or DVD-capable device. Many people think that this feature is unnecessary, but it can make it much easier for you to store surveillance footage once you have run out of room on your DVR surveillance system. 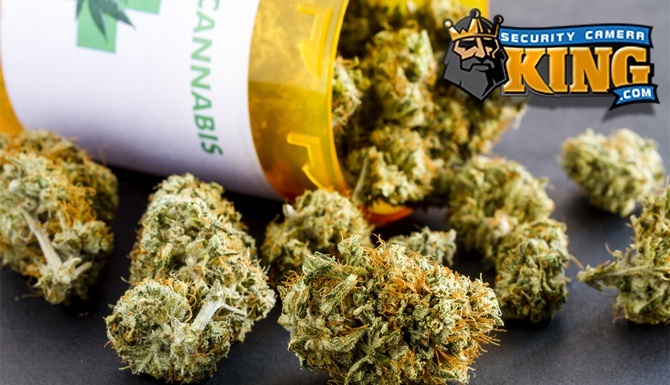 It also allows you to burn a quick copy for law enforcement officers in the event that someone burglarizes your home or commits some other type of crime. 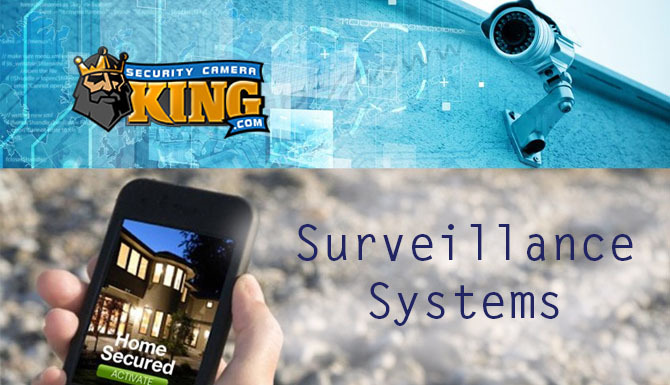 If you are concerned about the price of purchasing the best DVR surveillance system, you should consider purchasing a package deal. Although a package deal might not seem like the best option, you might be surprised by the good deal that you are able to get. In fact, you might be able to find the perfect fit for your home or business needs without purchasing separate components. There are several reasons why purchasing a package deal might be a good idea for you. First of all, choosing separate components for your system can be a time consuming task. 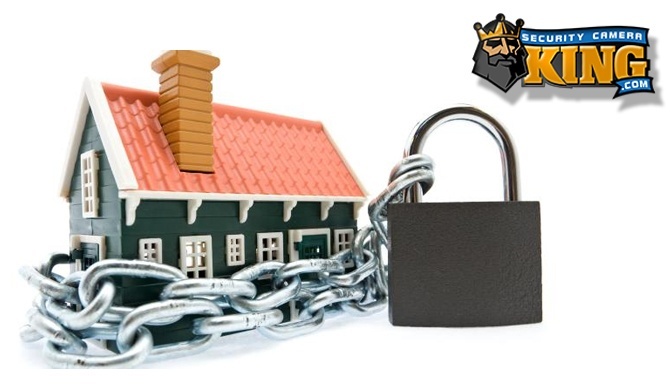 Instead of wasting your time searching for the perfect parts, you can choose an all-inclusive system that will provide you with the safety and security that you need for your home or business. Along with saving the time and hassle of shopping for separate components, you can also often save a lot of money by purchasing a system that includes everything that you need. Along with saving time and money, there are other benefits to purchasing a package deal when you are looking for the best DVR surveillance systems. Along with getting a good system, you will get all of the items that you need in order to properly protect your home or business. You will also have the opportunity of reading instructions that will work with your entire system, which will make the set-up process much easier. Although it might seem difficult to remember all of these features, it is important to look at all of the specifications of a DVR system before making your purchase. You certainly don’t need all of these features in order to have a fully-functional DVR surveillance system, but you will want to make sure that your system has the features that you need so that you will be content with it for years to come. Putting some thought and research into your purchase can help to ensure that you won’t want to replace your system in the near future, and it can help you to make your home or business more secure.